At Gene Messer Volkswagen, we are all about the ride. For our owners, Volkswagen is an expression of who they are and how they move through life. Do not take just our word for it – Volkswagen feels the same about us. Recently, Volkswagen recognized the top 40 VW dealers in the nation with the appointment to their very prestigious WOLFSBURG CREST CLUB, and for the second consecutive year, Gene Messer Volkswagen was chosen for this honor. When a dealership offers outstanding sales and service, Volkswagen makes a point of celebrating it. That is why they created the Wolfsburg Crest Club. Gene Messer Volkswagen consistently meets the highest German standards for sales and service excellence. Our particular attention to detail in everything that we do, is why we have a place in this prestigious club. What does that mean for you? It means that you matter to us, and our goal is treat you as if you are our one and only customer. The management team at Gene Messer Volkswagen has more than 90 years of combined automotive experience, led by General Manager Dan Deleon. Our outstanding team of managers, parts specialists, service advisors, service technicians including VW Master Technician Mark Mitchell, and sales consultants support Dan. 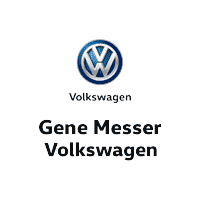 Gene Messer Volkswagen has represented Volkswagen in Lubbock, Midland, Odessa, Amarillo, Eastern New Mexico, and the entire region, for more than twenty years. Visit us today and see why Volkswagen has selected our dealership as one of the top forty in the USA. The first thing you should know about Gene Messer Volkswagen is that we are dedicated to satisfying you. This is true from the moment we hand you the keys to your new Volkswagen or used car to 150,000 miles (or more) down the road when you might finally decide to upgrade to something with fewer quirks. To complement our stellar collection of products, each chosen for its unique ability to match different people’s driving styles, lifestyles, wants and needs is an expansive certified Volkswagen parts store, and state-of-the art car service center dedicated to keeping your car young at heart until the day you decide to retire it. And, of course, we would not be complete without our savvy, in-house team of car loan and Volkswagen lease specialists. More than just being good with numbers, they are good with people; which makes for a zero-stress auto financing experience. We think you will agree that is pretty hard to find. Interested in learning more about Gene Messer Volkswagen and our commitment to putting you first? Please, give us a call or swing by our showroom at 7007 University Ave.. Lubbock, TX. We are happy to answer any questions and hope to have the opportunity to meet you soon!